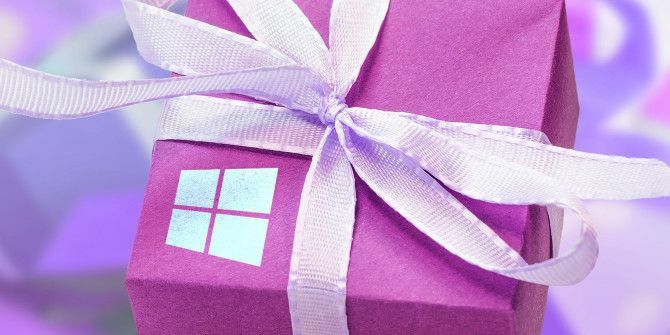 Whether you’re preparing for the holiday season or just looking for an ace birthday gift, if you know that the subject of your attention is a regular Windows user, this might just be the gift list you need to find that ideal present. 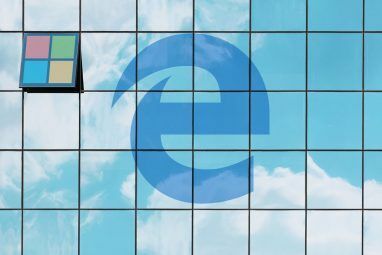 If your targeted Windows user has upgraded from Windows 8 to Windows 10, the chances are they found things pretty much self-explanatory and intuitive. But if they made a larger step up, from Vista or 7, for example, some help may be needed. While we’ve been producing guides of all lengths to help users get their heads around Windows 10 (everything from the Start menu A Guide to the Windows 10 Start Menu A Guide to the Windows 10 Start Menu Windows 10 fixes the Start Menu dilemma! Getting to grips with the new Start Menu will supercharge your Windows 10 experience. With this handy guide, you'll be an expert in no time. Read More to using the revised Settings screen How to Control Windows 10: The Settings Guide How to Control Windows 10: The Settings Guide The Windows control panel is on its way out. Its replacement, the Settings app, has received a significant upgrade in Windows 10. We'll reveal all its secrets for you. Read More ), you might prefer something you can hold, or read on a Kindle. Windows 10: The Missing Manual is surely that book, available for $23 in paperback and $22 on Kindle, and is an immense 690 pages of Windows 10 flavored help. Is the subject of your gifting a huge Windows fan? If so, you might consider a different line of gift buying. Rather than spend money on books, software and computers, why not go down the clothing route? This T-shirt, available on Amazon, is a great example of Windows 10 love, and is currently available from $21 (usual price $49.49) in a variety of colors and sizes. For the more sardonic gift receiver, this amusing “Windows failure” tee might be more appropriate. Many other technology related T-shirts are available to buy, such as tees based on video games 6 Places to Buy Cheap Video Game T-Shirts 6 Places to Buy Cheap Video Game T-Shirts You know what is a great way to show off what your hobby? A T-shirt. You can slap something right on your chest and tell the whole world, "I like this thing enough to wear... Read More . Take Windows 10 Anywhere – With a Mobile Device! Windows lovers will be thrilled with Windows Phone, soon to be Windows 10 Mobile, which is set to roll out to a few legacy devices as well as grace new hardware. The successor to Windows Phone 8.1 How To Upgrade To Windows Phone 8.1 Now How To Upgrade To Windows Phone 8.1 Now If you want to speak to Cortana and get access to other cool new features, you will have to wait until June at least. Unless you'd update early. Like now. Read More has a collection of superb features, such as Cortana (which began life as a mobile app Get Cortana & More By Upgrading To Windows Phone 8.1 Get Cortana & More By Upgrading To Windows Phone 8.1 The Windows Phone update delivers a digital assistant, fast connectivity toggles, improved camera and greater support for a wider selection of apps. Find out how you can get it! Read More ), Continuum (enabling the phone to switch to PC mode when a keyboard, mouse and monitor are connected), and meanwhile Microsoft Office mobile will be very similar to the desktop experience. Windows Phone devices are available in several price points. For a good, reliable device that is upgradeable to Windows 10 Mobile, we suggest the HTC One M8 for Windows. Computer users need to type. If the object of your gifting is a tablet or desktop computer user, they may well benefit from the Wedge, Microsoft’s distinctive Bluetooth keyboard that comes with a hard cover that doubles as a stand for a tablet PC. Also compatible with iOS and Android devices, the Wedge is a useful portable keyboard that is comfortable to use, if not hugely ergonomic. Where a keyboard goes, a mouse must surely follow. The compact Arc Touch Bluetooth mouse is a unique product, and an example of some particularly intelligent design from Microsoft. Often found accompanying Microsoft Surface tablet computers, the mouse can be carried as a slab, and then bent into shape to fit the shape of your hand. It might not be the most affordable mouse (although it is a mouse usually priced under $50 4 Excellent Mice for Everyday Use Under $50 4 Excellent Mice for Everyday Use Under $50 When you are using a mouse, you want it to have a nice, balanced weight. Read More ), but this at least makes it an ideal gift, whether for Christmas, birthday, or whatever gift-giving occasion you’re preparing for. 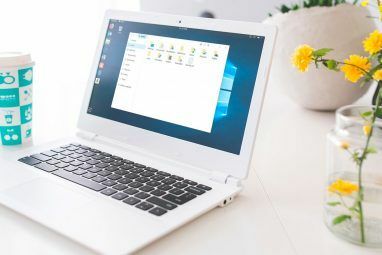 If the Windows user in your life is rocking a notebook or tablet, the chances are they no longer have an optical drive, as these devices don’t usually ship with optical hardware. While several methods exist for playing DVD content without a physical drive How to Play DVDs & Blu-Rays on Windows 10, Even Without a DVD Drive How to Play DVDs & Blu-Rays on Windows 10, Even Without a DVD Drive With the removal of Windows Media Center, it has suddenly become more difficult to play DVD and Blu-ray discs on your computer. Fortunately, you have alternatives, including third-party tools or virtual drives. Read More (or disc!) it is always useful to have the option. Fortunately, external Blu-ray drives are an option, and can be connected by USB. Once connected, they then behave like integrated drives, ready to read and write to writable Blu-ray and DVDs. Meanwhile if an external DVD drive is all that is required, this is also an option, although the price between the two (the LG Blu-ray is currently discounted to $34.95) makes Blu-ray the smarter option. Note that if you have a spare laptop lying around, the internal optical drive from that can be converted into an external drive No DVD Drive on Your Tablet or Notebook? Use an Old Laptop Drive Instead! No DVD Drive on Your Tablet or Notebook? Use an Old Laptop Drive Instead! More and more Windows computers are shipping without optical drives, and this is a phenomenon that exists beyond the tablet PC. The lack of a DVD drive might prevent you from installing your favourite apps... Read More . Useful for students, writers, anyone running a home business, involved with community projects, or even for having “just in case”, Microsoft Office is a pretty important suite of software to have installed. Two broad options are available, Office 365 (currently available for $99.99 per year) and Office 2016 Home and Student ($124.99). As you should see from the pricing, Office 365 is available as a subscription, whereas Office 2016 Home and Student is a single purchase. Both offer the core Word, Excel, PowerPoint, and OneNote apps, with additional options available for Office 365 depending on requirements – our guide should help you decide Which Office Suite Is Best for You? Which Office Suite Is Best for You? You'll be pressed to find an occupation that doesn't require word or number processing of some sort. And you may wonder, is Microsoft Office really the best solution? Here are your options. Read More . Windows users can gain a wealth of knowledge from regular magazine reading, whether from a physical publication or one they read electronically. Among the best magazines for computer users is Computer Active (styled “computeractive”), which features a large slice of Windows content (and a small amount of OS X, where it matters). Available relatively cheaply from newsstands, you can have it delivered to your door for just $173 annually. For a fortnightly read, that’s not bad at all, and you’ll find a host of tips and advice within. Gift cards are available online in the form of email codes and can also be ordered as physical cards. Prices range from $5 to $100, and these codes and cards can be used anywhere in the world. Finally, how could any list of ideal gifts for the Windows user be complete without a look at the Surface Pro 4, the latest addition Microsoft Unveils Surface Book, Surface Pro 4, New Lumia Phones... [Tech News Digest] Microsoft Unveils Surface Book, Surface Pro 4, New Lumia Phones... [Tech News Digest] Microsoft unveils Windows 10 devices, Twitter has its Moments, Facebook does a Doodle, Bob Dylan meets IBM's Watson, and Universal posts a trailer for Jaws 19. Read More to Microsoft’s line of work-centric tablets? Many issues with earlier models have been ironed out with this fourth release, and with the benefit of the touch-focused Windows 10 bringing an extra dynamism to the platform, this is productivity heaven. Prices range from $890 for the basic Intel Core M model (with 4GB RAM and 128GB storage) all the way up to $5,700 for the top of the range Intel Core i7 with 16GB RAM and 512GB storage. For most users, we reckon the $1,210 Intel Core i5 with 8GB RAM and 256GB storage should be sufficient. Ten Smart Gifts for Windows Users! We’ve given you ten gift ideas for the Windows user in your life, but what would you choose? Do you have a better idea? Tell us about it in the comments. Explore more about: Gift Guide, Gift Ideas, Microsoft Office 2016, Microsoft Office 365, Windows 10. Another funny gift for the IT Pro in your life: about 15 years ago, Microsoft made Microsoft Certified Professional Action figures. Yes, really. There are three of them: A guy in a polo shirt, a guy in a suit and a woman in a business-looking skirt and jacket. They have accessories. Laptops and PDAs and stuff. I haven't seen mine for years but I bet they show up on Ebay every so often. Microsoft makes (made?) Cat Ruding a Unicorn with an Uzi and carrying a Windows flag stickers. They're kind of awesome. I put one on my Surface Pro. 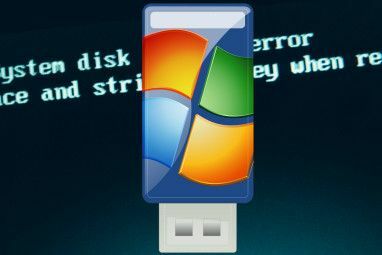 The best gift for a Windows user? A fresh installation of one of the Windows-friendly Linux distros!